Aidan McHugh followed up his first Kuwait title success with another on Sunday. 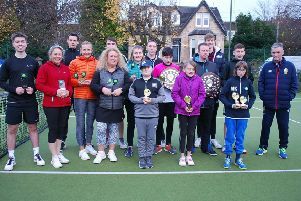 Bearsden tennis star Aidan McHugh has added a second ITF tennis title to his collection, just a fortnight after winning his first. The 18-year-old lifted the Kuwait F3 Futures title in Meshref, defeating France’s Constantin Bittoun Kouzmine 6-1 6-3 in the final. The tournament was the last in a quickfire treble of ITF tournaments at the same venue. Two weeks previously Aidan had won his first ever title in the first of the three events, but went out of the second tournament in the last 16. However he bounced back in style by winning the third without dropping a set in any of his five matches. He opened with a 6-2 6-0 win over Switzerland’s Keivon Tabrizi and then beat India’s Dhruv Sunish 6-1 6-1 in the second round. A 6-1 6-4 win over Roy Sarut De Valk from the Netherlands in the quarter-finals was followed by a 7-5 6-1 semi-final victory over Italian Julian Ocleppo before his final triumph on Sunday. But while it might look a straight-forward route to success on paper for Aidan, it was anything but according to dad Chris. 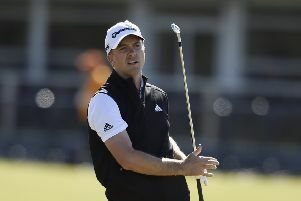 He said: “Although the scores were quite convincing, some of the matches were quite hard. The tournament was Aidan’s last event of the year and his victory will now push him inside the top 500 in the world rankings. Chris also said that Aidan had to cope with the added distraction of being without coach Toby Smith. He said: “He was on his own, he was there without a coach for the first week and the third week. “But he just kept his focus and did well and was very pleased to keep going and keep focussing and to win the title.